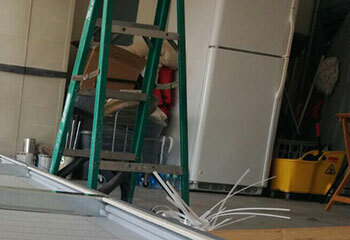 When it comes to your garage door, we strive to cover your every need or problem. Scroll down to see what kind of projects we were up to lately, and if you need any help – all you need to do is call! Customer Issue: The bottom door panel fell off and the one above it sustained some significant damage so two new sections were needed. Our Solution: The customer had a Clopay garage door, so obtaining new matching panels wasn’t an issue. After doing so, our team fitted the new panels on the door while also replacing the relevant hinges, which had been somewhat rusty. We then tested the door’s functionality and saw to it that it could open and close in a smooth fashion. Our Solution: One of our experts removed the broken parts of the cable from the pully system before threading in a brand-new, sturdy cable to replace it with. She then tested the system to confirm it was working as it should. 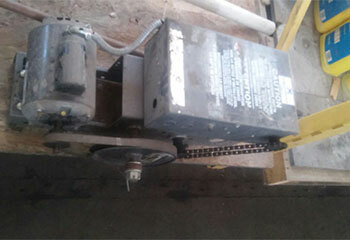 Customer Issue: Reece wanted a quieter opener system. Our Solution: We suggested a chamberlain belt drive for quieter performance to replace the old chain drive model. 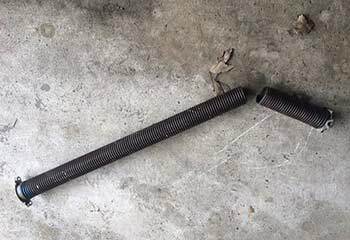 Our Solution: The spring was broken, so we replaced it with a new one and made sure the door was back to full working order. 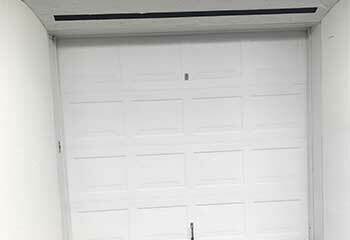 Customer Issue: Diane wanted brand new doors that brought warmth to her garage. Our Solution: After our advice she chose a single Clopay Canyon Ridge door. 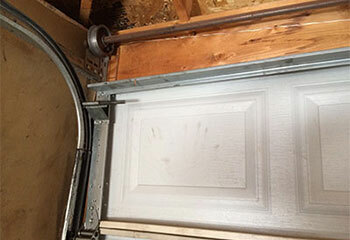 We installed the door without issue.